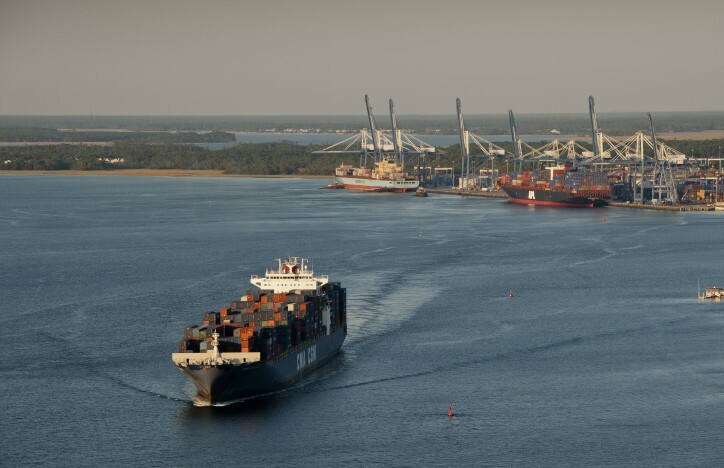 Yesterday South Carolina Ports Authority (SCPA) reported its strongest November container volumes on record. SCPA handled 175,217 twenty-foot equivalent units (TEUs) in November, a year-over-year increase of 14 percent. Previously, SCPA's strongest November on record was 163,121 TEUs handled in 2005. With 864,970 TEUs moved since the fiscal year began in July, the Port's container volume is up 4 percent. As measured in pier containers, or boxes handled, SCPA also broke previous November volume records by moving 99,041 boxes last month. Fiscal year-to-date pier container volume is up 4 percent, with 487,924 boxes moved at its North Charleston and Wando Welch container terminals. "The port had a record November of close to 100,000 pier containers with continued year-on-year growth in the loaded container segment and the resurgence of empty exports through calls by extra loader vessels," said Jim Newsome, SCPA president and CEO. "We are ahead of plan for the fiscal year 2017 but expect a seasonally modest December through February as lines adjust to slowing world trade and prepare for new alliance deployments. The South Carolina Inland Port Greer continued to handle near-record volumes as we prepare to build a second inland port in Dillon County, SC." SCPA's non-containerized cargo volumes in Charleston exceeded fiscal year-to-date plans last month by 11 percent. Charleston handled 66,953 pier tons of breakbulk cargo in November. Rail moves at Inland Port Greer continued to be strong, with 9,465 moves in November. Fiscal year-to-date volumes are up nearly 31 percent compared to the same period last year, with 44,892 rail moves since July.